Win Prizes & Say Goodbye to Stubborn Fats with CoolSculpting Treatment! So yea, many of us have stubborn fats despite of diet and exercise. Have you ever thought of the solution for that? There're various ways to do so, here's one of them - CoolSculpting®. CoolSculpting® is developed by renowned Harvard University scientists, Dieter Manstein, MD and R. Rox Anderson, MD, observed that some children got dimples due to eating popsicles. The idea that cold can selectively affect and eliminate fat cells without damaging the skin or surrounding tissue was the insight behind Cryolipolysis®, the proven science on which the CoolSculpting® procedure is based. CoolSculpting® technology uses controlled cooling (Cryolipolysis®) to target and kill only stubborn fat cells. In the weeks to follow, these fat cells are naturally eliminated from the body. 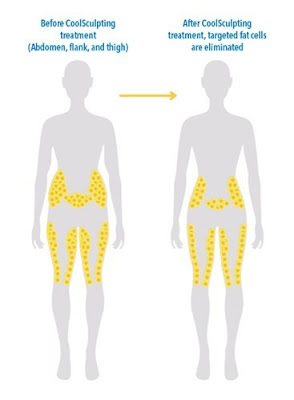 CoolSculpting® results are long-term, as treated fat cells are gone for good. 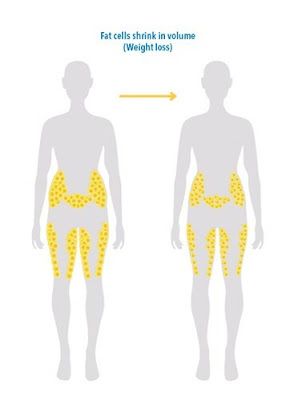 After treatment, targeted fat cells are eliminated for good. Untreated areas will have no change in fat cell distribution. Results are better when paired with frequent exercises, as dead fat cells are flushed out of the body through waste and sweat. The proven result with the CoolSculpting® procedure is FDA-cleared, non-surgical, no down-time and also safe and effective. It's a common misconception that weight loss and fat reduction are the same thing. They're not. When we lose weight, our fat cells become smaller, but the number of fat cells remains the same. When we gain weight, those fat cells become larger again. However, the CoolSculpting® procedure actually reduces the number of fat cells in the treated areas. Obviously, fat cells that are no longer there can't get bigger. And unlike weight loss surgery or other non-surgical weight loss procedures, results from the CoolSculpting® procedure are lasting because once the fat cells are eliminated, they're gone for good. Whether or not you weigh less, you'll be thinner and your clothes will fit better, feel better and look better. Now, here's a chance for you guys to stand a chance to win prizes worth more than RM6,000 from ME Clinic including an additional 3 months membership at Curves Malaysia! 1. Sign up a minimum of 4 parts of CoolSculpting® with ME Clinic in Berjaya Times Square at a discounted rate. Walk in or make appointment for CoolSculpting® consultation at ME Clinic in Berjaya Times Square ME Clinic Berjaya Times Square KL, LG-18, Lower Ground Floor. 2. Receive a complimentary 3 month unlimited pass at Curves Malaysia (a women’s only gym, famous for their 30 minutes exercise). 3. 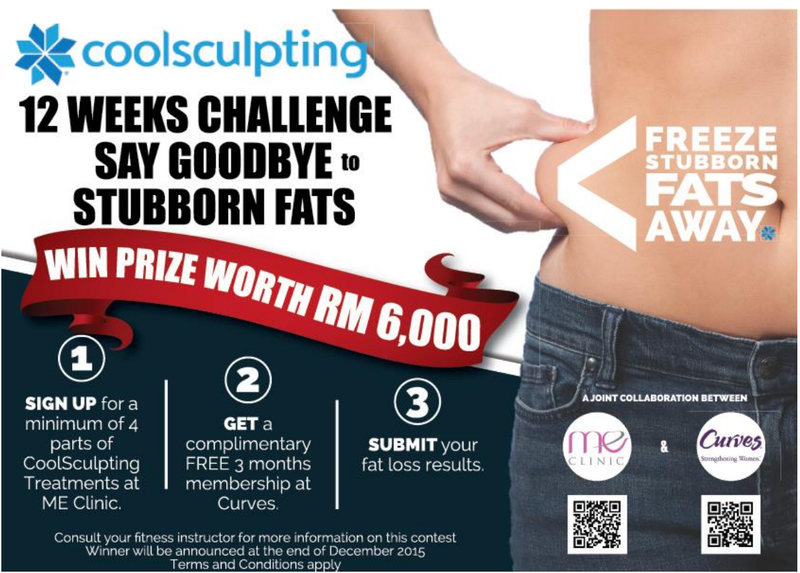 Diligently receive your CoolSculpting® treatments and go for exercises at any Curves Malaysia. 4. Submit your fat loss results after 3 months, and stand a chance to win prizes worth more than RM 6,000 including an additional 3 month membership at Curves Malaysia. 1. Participation closing date is on 30th September 2015. 3. Participants will only have 3 months from the date of participation to lose fats before submitting results.  Prizes worth more than RM 6,000 including an additional 3 months membership at Curves Malaysia.  Winning is based on BMI and activity report over a span of 3 months from Curves Malaysia, combined with fat loss results through CoolSculpting® from ME Clinic. For more information, do follow ME Clinic’s Instagram account @meclinictimessquare for more information.